“Vulnerability analysis of HVDC contingencies in the Nordic power system”. 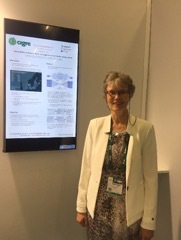 This is the topic of a paper that was presented at the CIGRE Session 2018 in Paris the last week of August. 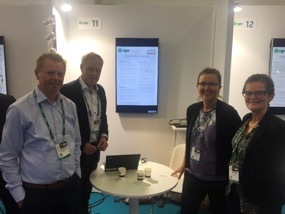 CIGRE is the global expert community for electric power systems. The CIGRE Session has about 3500 delegates from more than 90 countries. This blog will elaborate on the paper. In the increasingly interconnected and integrated European power system, transmission system operators (TSOs) need to consider new kinds of risk associated with the interconnections to neighbouring systems. 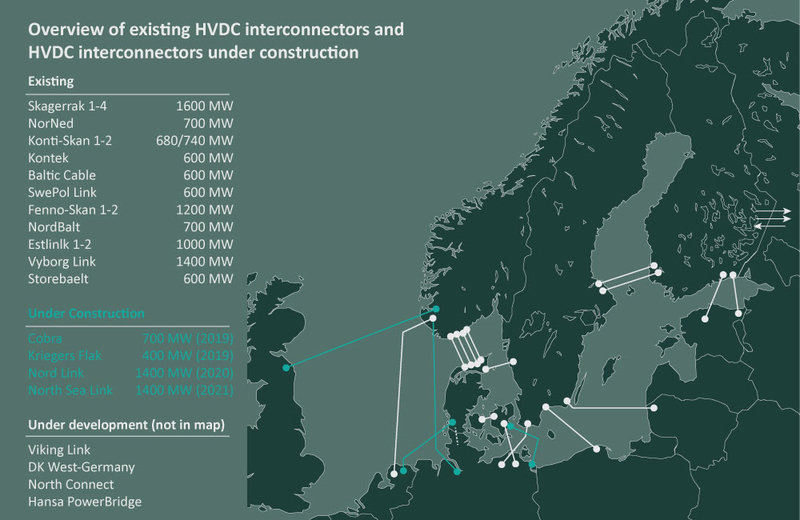 For the Nordic power system there are HVDC interconnectors to Russia, the Baltic states, Poland, Germany and the Netherlands, and more are under construction. These interconnectors are increasingly important for the operation of the Nordic power system and the security of electricity supply. The number and capacity of HVDC interconnectors are increasing while the inertia in the Nordic synchronous area is decreasing due to increasing shares of renewable (wind and solar) power generation, among other factors. The inertia may become insufficient to maintain operational reliability in import situations, after certain contingencies involving multiple HVDC interconnectors. These interconnectors are increasingly important for the operation of the Nordic power system and the security of electricity supply. How likely is it to go wrong? Using a complementary approach to traditional risk analysis, a vulnerability analysis may lead to greater insight by structuring relevant consequences of HVDC contingencies, threats (causes) and vulnerabilities. As such, vulnerability assessment can be used to gain insight into, and raise awareness of, all the three components of the risk. A blackout in neighbouring synchronous areas is a relevant threat potentially causing loss of multiple HVDC interconnectors to the Nordic synchronous area, and the system may be more vulnerable to HVDC contingencies where converter stations are in the proximity of each other. In the analysis we carried out for HVDC contingencies in the Nordic power system, insufficient system inertia was identified as an important vulnerability influencing factor. The analysis may serve as a starting point for more detailed and quantitative analyses and to identify potential measures for mitigating consequences following HVDC contingencies. The methodology for power system vulnerability assessment that in this case was applied to the Nordic power system is applicable to power systems in general, also on a European level. We believe it is a very useful tool for getting a broad overview of vulnerabilities and the general risk picture regarding the security of supply, and for raising risk awareness among TSOs and other stakeholders. However, the scope of the vulnerability assessment needs to be defined for each specific case. The relative importance of import/export through HVDC interconnectors is assumed larger for the Nordic synchronous area than for others (e.g. the continental European synchronous area), and at the European level, other consequences, contingencies and threats may be more critical than those considered in our analysis. This analysis was carried out as a case study in the HILP project which is a knowledge-building project as SINTEF Energy Research with the Norwegian and Finnish TSOs Statnett and Fingrid respectivelyas well as the Norwegian energy regulator NVE and the Norwegian University of Science and Technology (NTNU) as partners.